First Image: Power Rangers Beast Morphers Beast X Megazord! 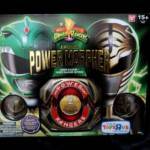 One new image has surfaced online from the upcoming Hasbro Power Rangers lineup! This is our first real look at the Megazord from Power Rangers Beast Morphers! This combo was referred to as the Beast X Megazord in previous listings, and is comprised of three Beast Zords. While details are sparse at the time of writing, this design does seem very faithful to its counterpart- Tokumei Sentai Go-Busters’ Go-Buster Oh. Stay tuned to TokuNation for all Beast Morphers reveals! BigBadToyStore.com Sponsor Update – New SH Figuarts Pre-Orders and More! Our site sponsor BigBadToyStore.com has released their latest newsletter which included some brand new S.H. Figuarts pre-orders for the ever popular series Kamen Rider Build! On top of that, we still have pre-orders for all the reissue Power Rangers legacy figures, zords, and roleplay items. For the best customer service around check out BigBadToyStore.com! Don’t forget to take advantage of their Pile of Loot system for shipping which could save you TONS of money! Combine your orders in to one flat rate shipping fee at YOUR convenience! Check out BigBadToyStore.com today! Click “Read More” to read the latest newsletter and subscribe at their site! Taking a current from Transformers repaints of the same variety, rather than use the usual gold accents we see with Black Megazord & Daizyujin repaints, this one opts for teal accents. Nemesis Megazord am I right? This release will be exclusively available at San Diego Comic Con 2018, at the Bluefin Brands booth. 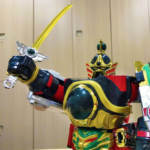 It’s time for another BigBadToyStore.com sponsor update here at TokuNation! Spring is officially here and what better way to celebrate the warming trend outside than with warming your wallet by emptying it on great toys and collectibles?! BigBadToyStore.com is here to help! Check out what’s new in stock and new for pre-order! For the best customer service around check out BigBadToyStore.com! Don’t forget to utilize their Pile of Loot shipping system – where you can combine all your orders in to one giant shipment and pay a simple standard fee saving you potentially a LOT of money – which means more stuff to buy! For those of you who can remember 2017 (it’s been a minute already, we know!) one of the hardest items to obtain was a pre-order for the Super Sentai Artisan DX DaiRenOh. Promising a faithful release of the original figure but with modern day improvements (such as better paint deco, remolded pieces, and new accessories) the Super Sentai Artisan DX DaiRenOh sold out in pre-orders within just a couple of days. 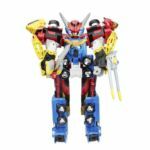 Bandai Japan has recently updated their blog to give what would appear to be the final release version update on the upcoming Super Sentai Artisan DX DaiRenOh. The figure features brand new paint and looks incredible. The fists have been remolded, the sheath of the blade now matches what you saw in the show, and a second sword has been included so you can recreate the finishing move. We’ve mirrored all the images here on the site. Click the title of the story to check them all out. Did you grab a pre-order for this? Sound off in discussion and let us know! Also … you have until the end of the month to reach out to your middle man for a DX WonTiger, which as you know, can combine with the DX DaiRenOh.